Enjoy a relaxed stay surrounded by luxury appointments with a visit to the prestigious Culpepper Inn. Located in the heart of downtown Elizabeth City, and bordered by a collection of Victorian and historic homes, this stately Bed & Breakfast features 11 rooms, including two guest / carriage homes, which will impress visitors with their refined décor and accommodating amenities. The Culpepper Inn is within walking distance of the downtown area and the harbor of the Pasquotank River, which makes it a nice central locale to explore the heart of this coastal community. The site is surrounded by lush grounds, and features a tavern room social space, an in-ground saltwater pool, porch rockers, a fish pond, and an outdoor living room and fireplaces, which will entice guests to linger during the day. A gourmet served or self-serve breakfast is available in the dining area every morning, and the rooms and guest homes can accommodate up to six people. In addition, Culpepper Inn is a popular spot for weddings and special events, and can accommodate up to 75 guests on-site. 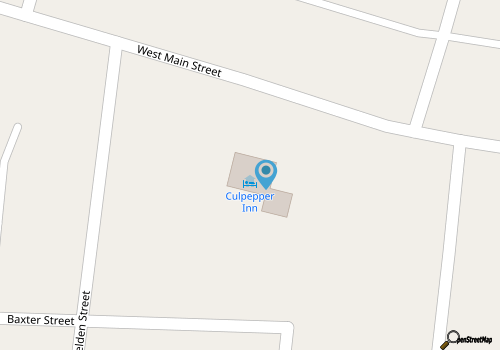 With plenty of amenities and a fine location, the Culpepper Inn is a lovely spot for couples, families, and large parties to enjoy a refined taste of Elizabeth City.